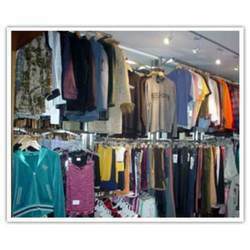 In modern days, India has grown as the leading exporter of garments and various textile apparels. In the total export of textile to the foreign countries India has the greatest share among all other countries. Almost ¼ of total exports of textile from India goes to USA. Since, we deal with shipping and transmitting services we take intense care while transmitting the garments from India to abroad. We support both sea and air freight services to transmit the apparels with complete packaging facility. 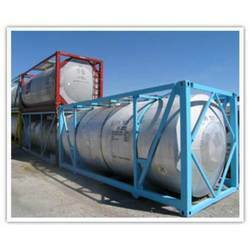 We undertake various shipping and transportation services with the help of tank containers. 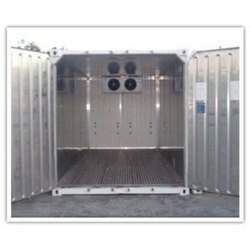 The tank containers are designed for an operating pressure of up to 3 bar. These tanks are used for liquid cargoes such as foodstuffs, fruit Juices, Spirits, Sweet Oils and Chemical hazardous materials such as fuels, toxic substances and corrosion protection agents. 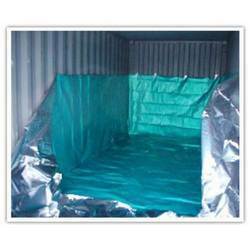 These containers are well equipped with proper insulation and temperature controlling measures. Further, these are labeled so that proper identification of the content can be made. With due care, we carry out the entire shipment process so that no damage is incurred to the articles. This is a special equipment for transportation bulk non-hazardous cargoes, using the standard 20-foot container. Fabricated from premium quality plastic this tank is soft and tight tank with volume from 14 up to 24 thousand liters. This kind of tanks is widely used to transfer animal oils and fats (liquid and solid), juices concentrates, juices, syrups, water, wine, treacle, food additives, pharmaceutical oils, malt, technical and industrial oils, technical additives, synthetic pitches, liquid cleaning means, emulsions, glycerin, some kinds of paints, ink, fertilizers, latex and transformer oils. This kind of shipment is done when various kind of medicines and food stuffs need to be maintained at a certain temperature to prevent spoilage. Temperature controlled shipment ensures that the shipped item or items will remain fresh and refrigerated for up to 96 hours from the time of shipment until delivery. Various food items and medicines remain free from damage and contamination which further guarantee in freshness and hygiene. In addition, we take necessary prevention to avoid any undesired accidental consequences during the transit. With proper insulation and refrigeration these shipments are undertaken. 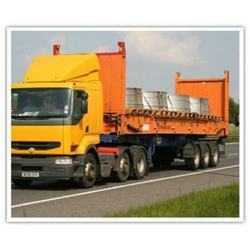 These are specially designed equipment to carry and transmit ODC cargo. The ODC generally consists of machineries, heavy-lifts, boilers, chemical filters, generators and storage tanks. From time to time, oil rigs are also moved, which comes under ODC. Persian Gulf, Europe and the Far East are the major markets for ODC.